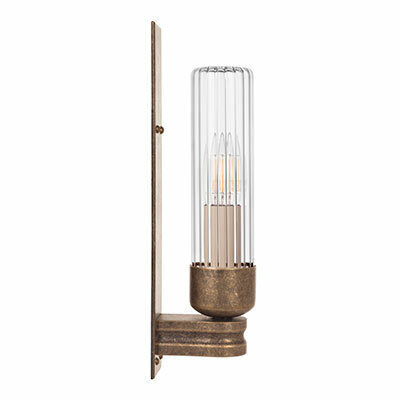 Our lovely vintage style Raydon Wall Light oozes an industrial chic that will add a designer touch to your bathroom, loo or shower room. IP rated for use outdoors or in a bathroom, it looks fabulous hung either side of a mirror and sits as comfortably in a modern setting as it does a traditional one. 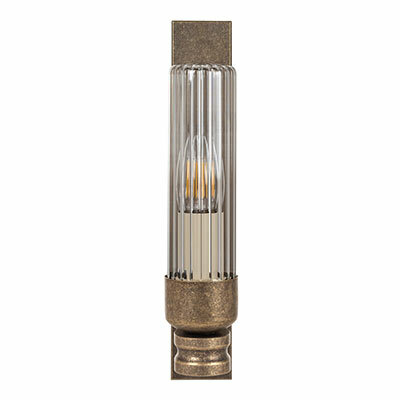 With its slightly opaque, tubular, fluted glass shade and unadorned backplate, the Raydon has a personality that is reminiscent of the factory lighting schemes that prevailed during the interwar years when modernism was in vogue and designers were looking for new ways to make products with an emphasis on simplicity and function. This Raydon is hand crafted from natural brass that has been lightly antiqued. 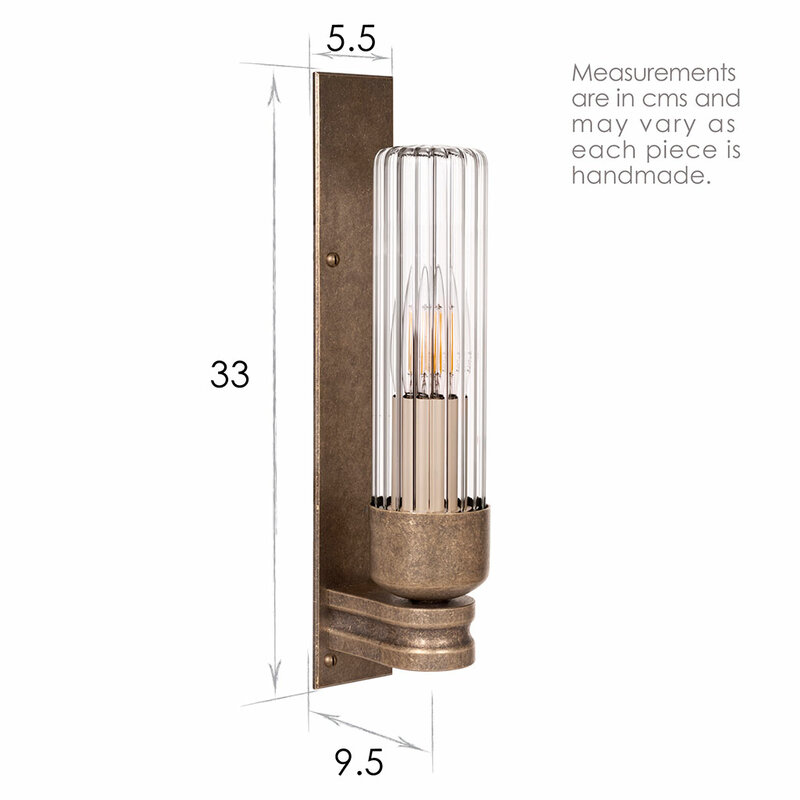 At Jim Lawrence, all our lights are made using traditional metal working techniques and are hand finished to the very highest standards here at our Suffolk workshop. Shade Illustrated: glass shade supplied with light and can be frosted on request. Additional information: Flush-fitting backplate, please refer to our guide for further details. 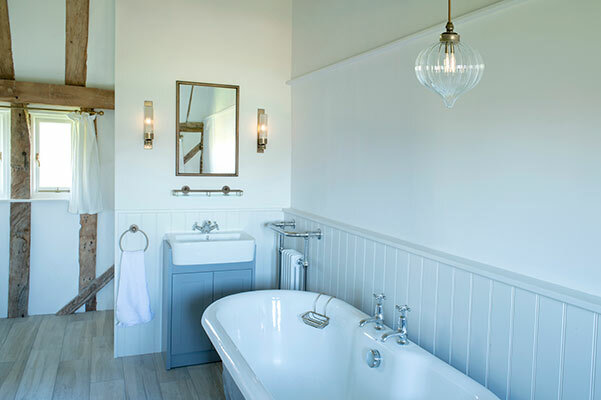 IP Rated: 44, tor more information, please read our ‘Guide to Safe Bathroom Lighting’. 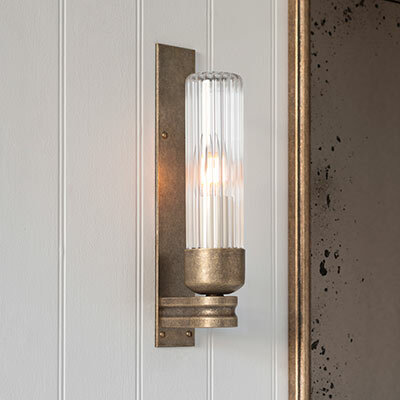 Antiqued Brass: A lovely, natural finish created by treating solid brass with antiquing solution to speed up the natural tarnishing process and create a lovely aged look that will darken naturally over time. 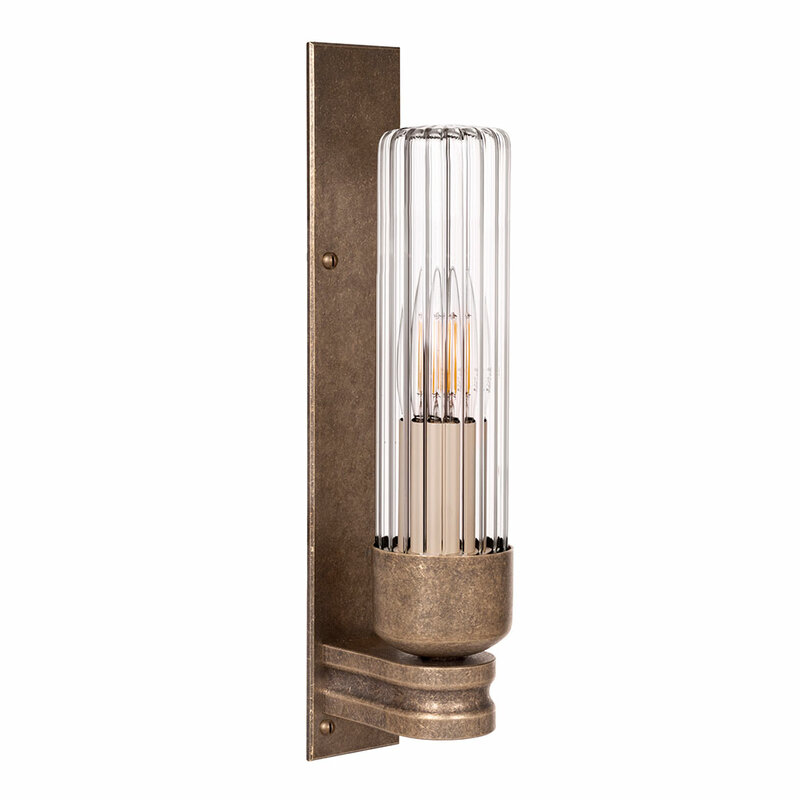 Renowned for its non-corrosive properties, brass has fantastic durability that will stand the test of time in any garden or bathroom. To find out more about our finishes, check out our product finish page. Where do they look good? Antiqued Brass is an incredibly versatile finish that works well with any colourway and natural building materials such as brick, stone, plaster or woodwork. Brass will catch the light more than our painted finishes so is great to use if you want to make a statement, as it will help draw your eye to it. Being IP rated, our Raydons are incredibly versatile and can be used to create mood or as a tasking light anywhere in your home where there’s high levels of water vapour such as your kitchen or laundry room. Our LED Clear Candle Bulb as the perfect accompaniment to your light. They Raydon is also available with plain glass and can be frosted on request. 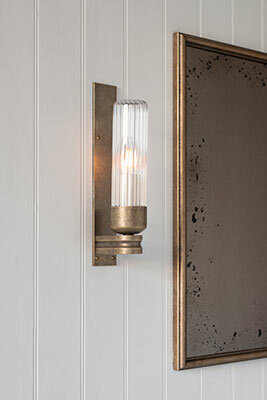 It will go particularly well with our brass Bletchley Bathroom Range. For a stylish, uniform look to your home, try matching your Raydon with other antiqued brass lights and accessories such as our range of window latches and door handles, or collection of brass switches and sockets.